Milacron Holdings Corp, a leading industrial technology company serving the plastics processing industry has announced that its Uniloy brand and Consolidated Container Company (CCC) have partnered in the development of their new Dura-Lite family of containers. 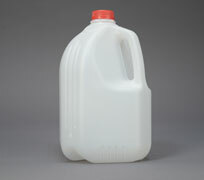 Responding to customer demand for a new generation of stronger and lighter-weight dairy/water gallon and half-gallon square bottles, the tie-up develops a solution that meets multiple market needs—ranging from lower bottle weight and improved strength to supply chain compatibility and consumer appeal. “Uniloy has been an industry leader in building machinery and moulds for blow moulding for well over 50 years and a pioneer in the dairy container industry. That pioneering spirit combined with Milacron’s technology-driven focus and history of collaboration with CCC led to the development of the groundbreaking Dura-Lite design,” says Milacron in its latest press release. Milacron worked with CCC to develop a light-weight design that has market appeal, structural integrity, performance, and compatibility with the fill-lines of CCC’s customers. The development process involved multiple rounds of fill-line and consumer testing to arrive at a design that will run well in most standard dairy/water supply chains and perform well with consumers. The resulting Dura-Lite containers feature radiuses, ribs, and angles that work together in order to achieve the option of gram weight reduction without sacrificing bottle performance or aesthetic appeal. The symmetric ribs not only enhance the look of the bottle but also provide strength in critical areas. 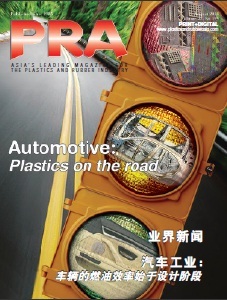 David Skala, Vice President, General Manager, Global Blow Moulding, Uniloy, said, that the success of the Dura-Lite container is a direct result of Milacron and CCC’s mutual respect for each other’s talents and experience. 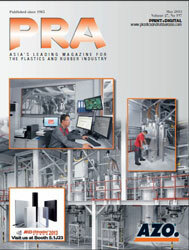 Alex Bernhardt, Senior Vice President for Strategy & Commercial Excellence at CCC, stated that what has been created is a total solution that combines the innovative Dura-Lite product design with the technical support capabilities of both CCC and Milacron, backed by CCC’s extensive network of plants. Dura-Lite containers will begin hitting retail shelves in early 2016, and will be available in gallon, half-gallon, and other sizes and will be compatible with multiple neck finishes. Due to the nature of the exclusivity agreement between CCC and Milacron, Dura-Lite containers are available only through CCC.